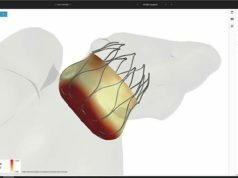 Medtronic has announced the first patient enrolment in MIRACLE EF, a global clinical trial that will evaluate the effectiveness of cardiac resynchronisation therapy-pacemakers (CRT-Ps) in delaying the progression of heart failure in symptomatic patients with mildly reduced heart pumping function. This large study will be the first to evaluate CRT-P in a widely underserved patient group – those who have a slightly reduced left ventricular ejection fraction (LVEF) in the range of 36 to 50%, which means that their hearts work somewhat more efficiently than heart failure patients who are currently indicated for implanted device therapy because of their lower LVEF. The CRT-P devices used in MIRACLE EF are not approved by the FDA for the patient population being studied. Edward Schloss, performed the first implant at The Christ Hospital’s Lindner Research Center in Cincinnati, USA; primary investigator for the site is Greg Egnaczyk. Approximately 275 centres throughout the world, in regions including the United States, Canada, Europe, Japan and developing markets, will enrol up to 2,300 patients who will receive a Medtronic Consulta CRT-P in this prospective, double-blind, randomised controlled trial. Patients will be followed for at least two years or until close of the study. Medtronic anticipates the trial will take four to five years to complete. The effectiveness of CRT-P in this patient population will be assessed using a composite endpoint of time to first event, defined as all-cause mortality or heart failure hospitalisation.